How does drinking really affect performance? Pint in one hand, arrows in the other. It is a scene that you can witness in any one of a thousand or more pubs up and down the country on a Friday night. The fact that darts has its grassroots in the countless pub leagues makes it understandable that there is a strong connection between the sport and downing a few beers. But there are many who are adamant that a drink is more than just too wet the whistle, and that alcohol improves their performance. It’s an argument that would have seemed logical enough a generation ago. In today’s world, where punters are scouring the internet for the best bookmaker promotions in order to stake significant sums on the outcomes, the professional scene is an altogether sober affair. But it wasn’t so long ago that, much like the snooker players of the same era (another game that traces its roots to the barroom), players would commonly emerge centre stage, pint in hand, and go on to win the major tournaments. 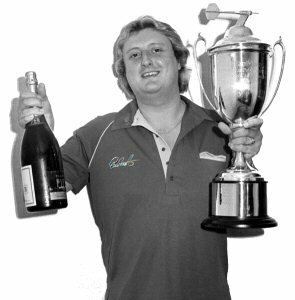 Since his sad passing, we have heard more than we really wanted to of the alcohol-fuelled era in which Eric Bristow reigned supreme. Yet Bristow was the best of his generation, and even after he’s gone, is counted among one of the most talented darts players ever. More recently, there was the phenomenon that is Andy Fordham. The Viking, who weighed more than 31 stone at one stage, won numerous tournaments throughout the 1990s. Prior to scooping the 2004 BDO title, he claims to have consumed 24 bottles of beer and several brandies. Clearly, there is more going on here than a couple of social pints, and it is a point that even pub players need to keep in mind. Fordham said in an interview that people never saw him sober and that drinking heavily was the only way he could focus on his game and play at the top of his ability. So, does alcohol make a difference? For someone in Andy Fordham’s case, there is a certain twisted truth to what he is saying. Anya Topiwala is a researcher at the University of Oxford and says that the more somebody drinks, the greater tolerance their body accumulates. Consequently, it takes more alcohol to achieve the same effect. Taken to extremes, as in the case of Fordham, sudden alcohol withdrawal would result in anxiety, sweats and shaking – all of which would make it practically impossible to play darts to a high standard. If we look at the pub game, it is common to hear players say that they can’t throw a dart straight till they’ve had a pint. It’s easy to shrug it off as a joke, but it’s commonly the case that you settle into darts better after a drink or two, so we need to understand why. Alcohol doesn’t improve your play. In fact, research shows without a doubt that it has a negative impact on spatial awareness, meaning your aim will get worse, not better. However, alcohol also makes you more relaxed. If you’re a little nervy standing at the oche with the rest of the team and the opposition side looking on, a drink will make you less self-conscious and will get rid of that slight tremor on the hand or the stiffness in the arm. The net effect? You might play a little better after a pint or two. Darts and beers do indeed go hand in hand, and there’s nothing wrong with continuing to enjoy both on a Friday night. But it’s worth keeping the cautionary tale of Andy Fordham in mind and making sure we enjoy all good things in moderation.